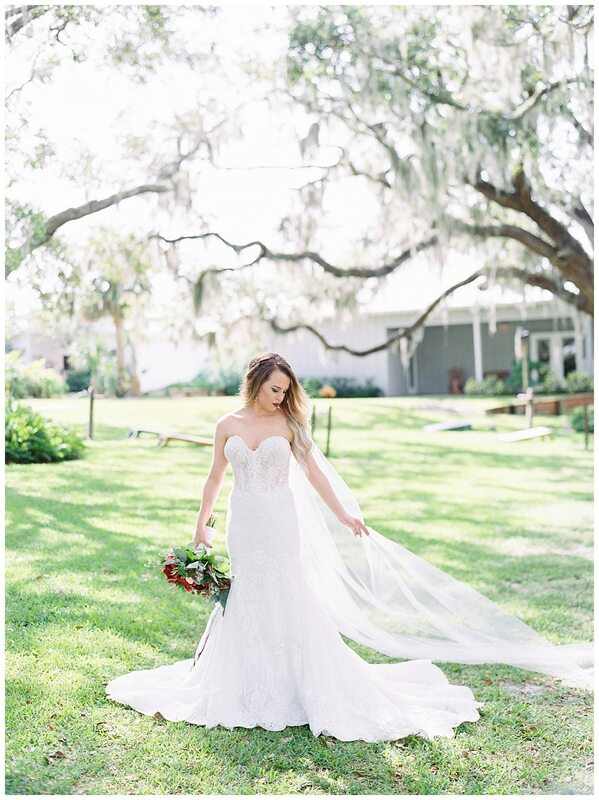 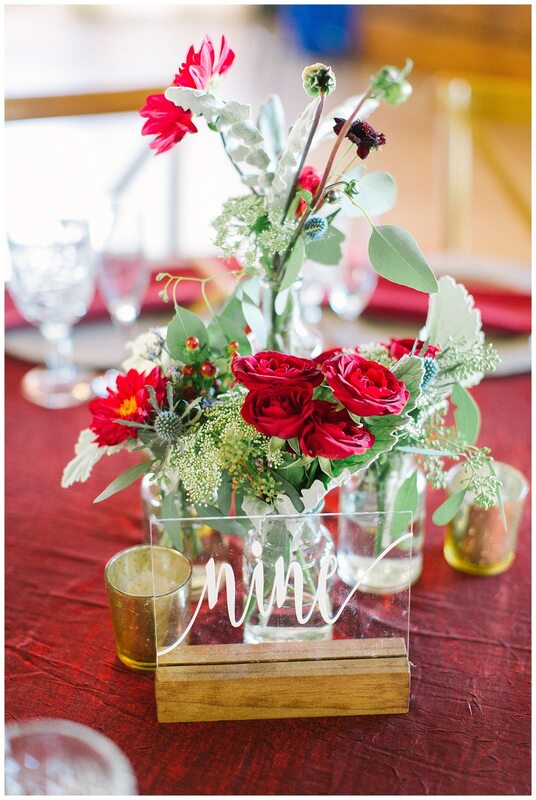 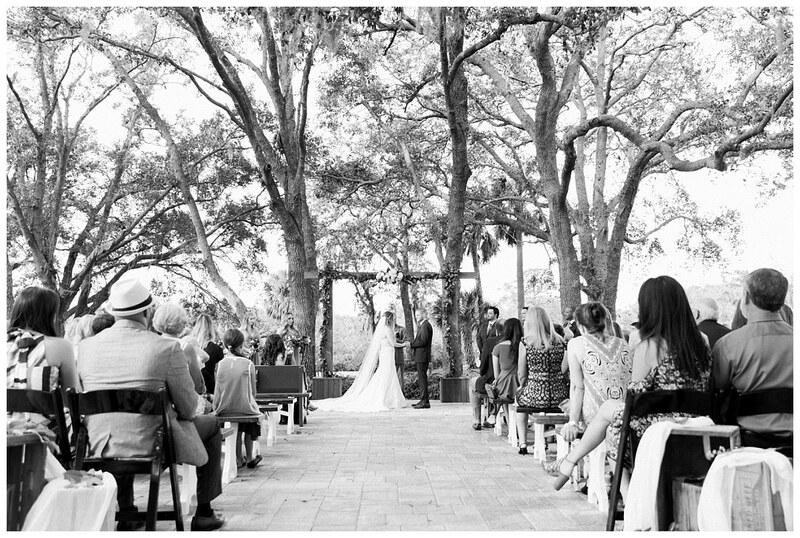 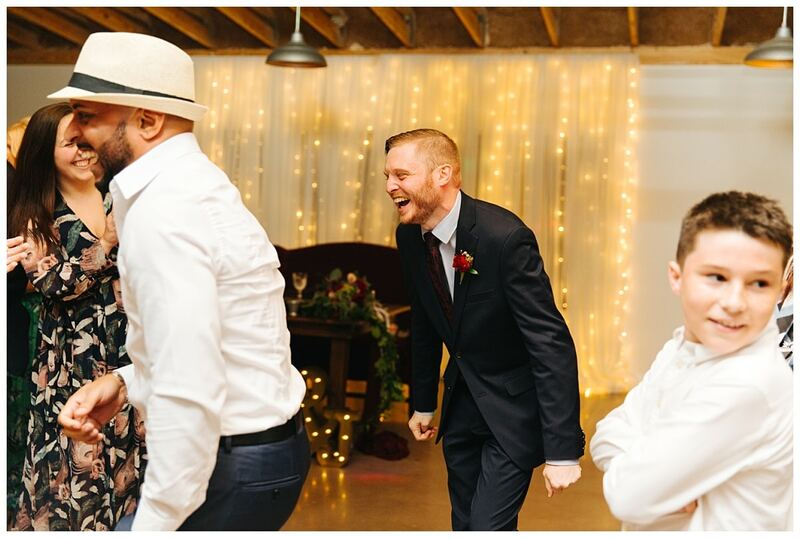 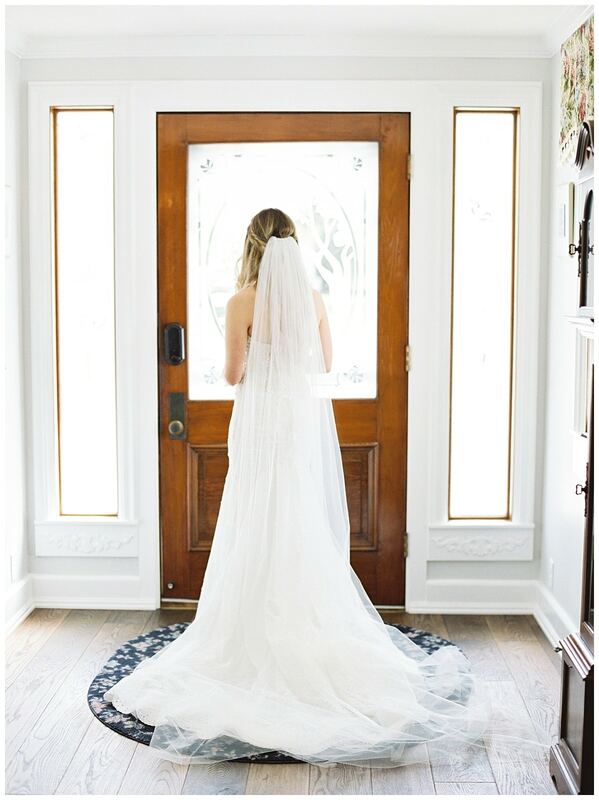 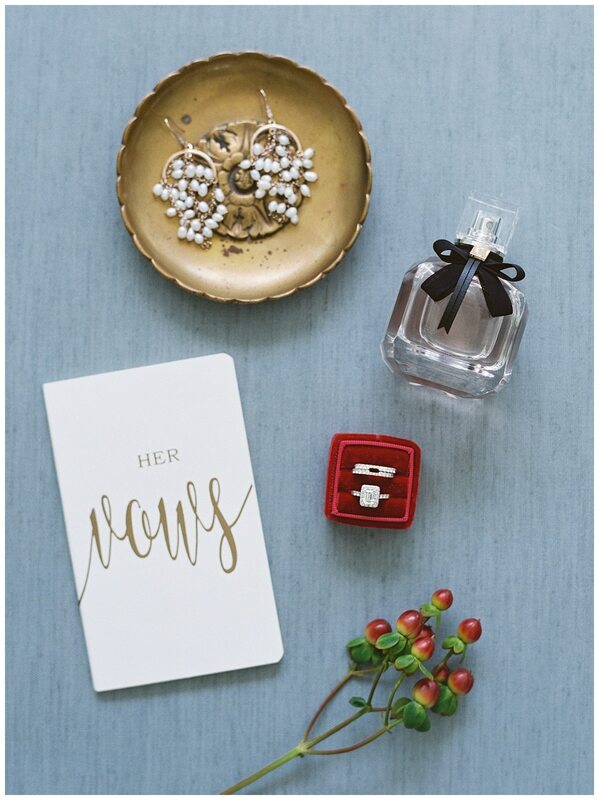 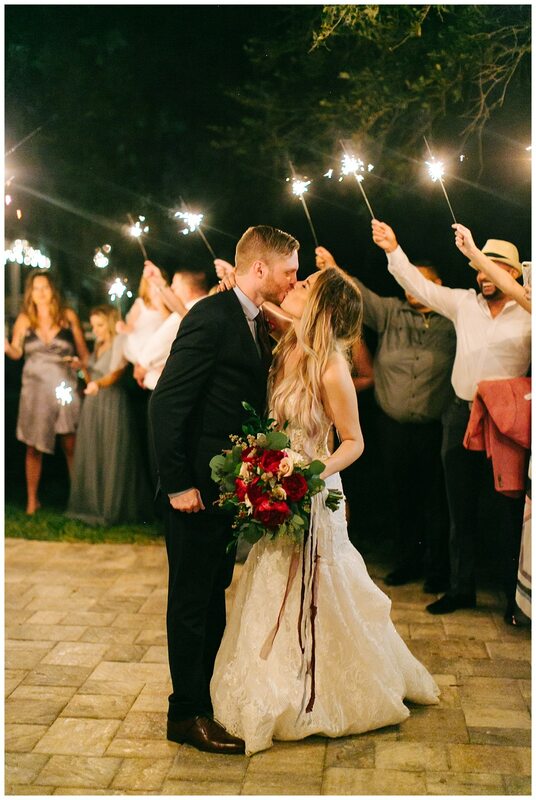 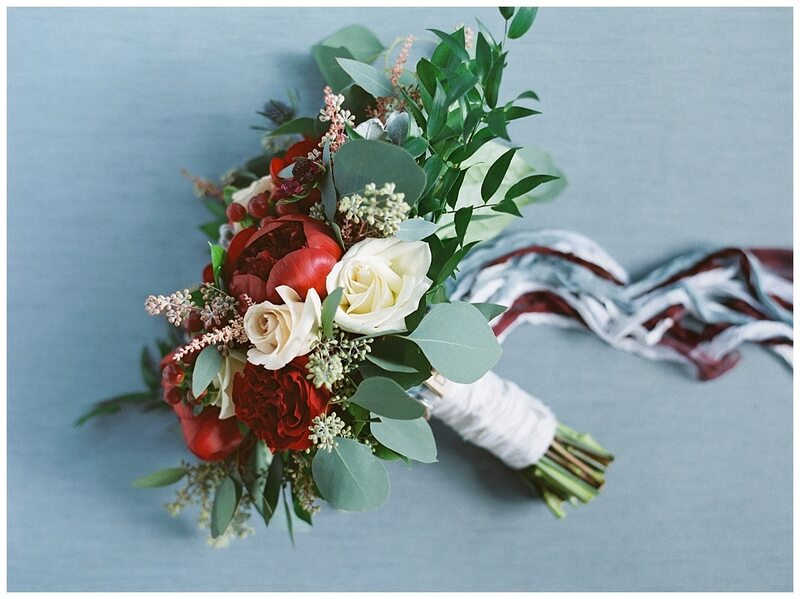 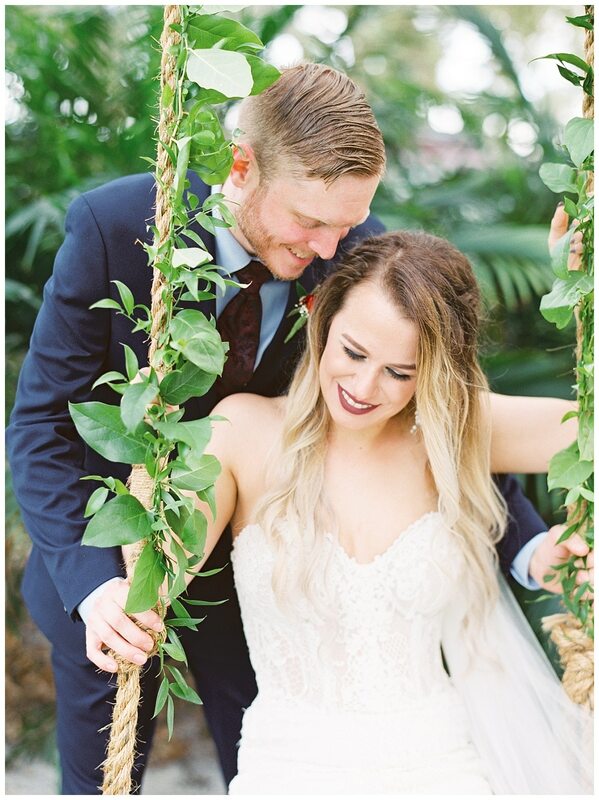 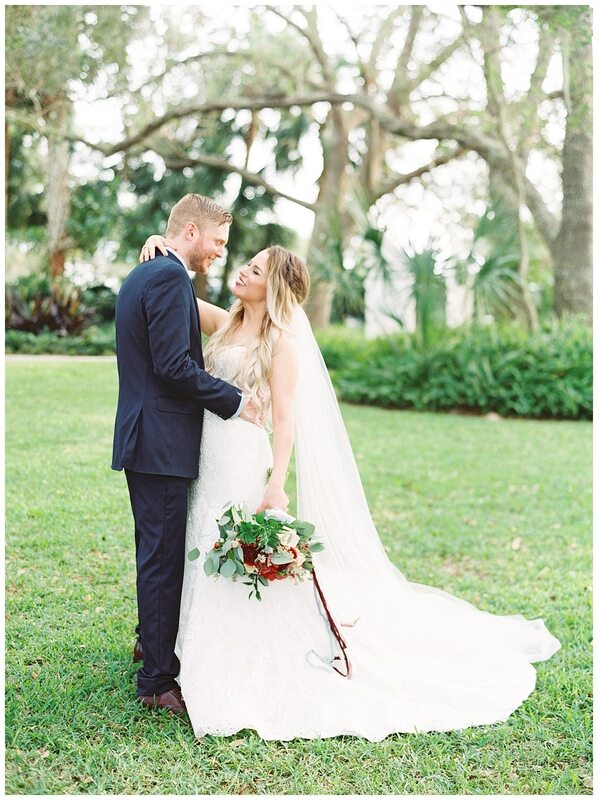 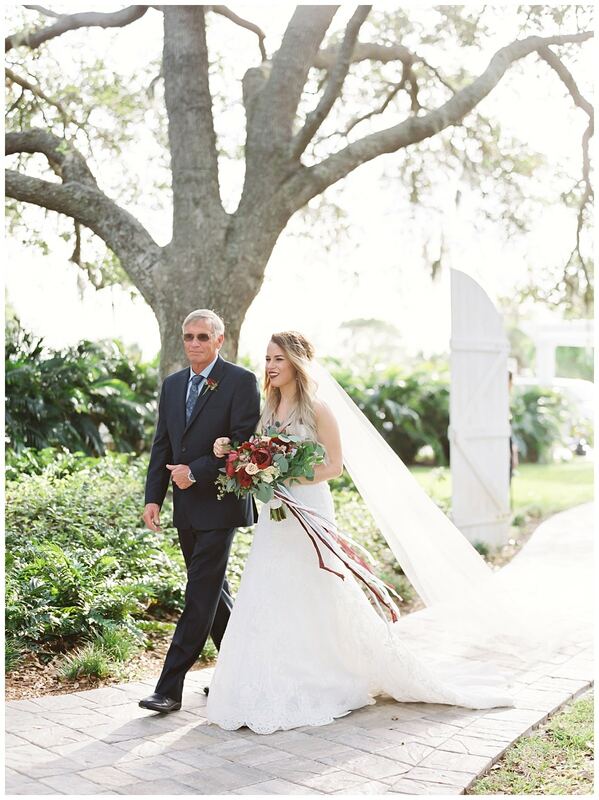 Jess and Stephen’s October wedding day was not only picture perfect as you will see below in the photos by Kati Rosado, but the day was downright delightful! 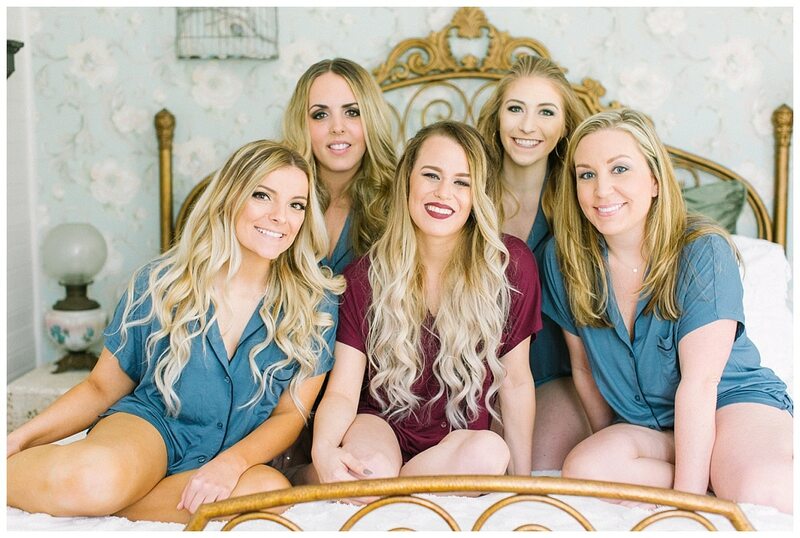 Jess and her bridesmaids started the day by waking up in the Decklan House at Up the Creek Farms. 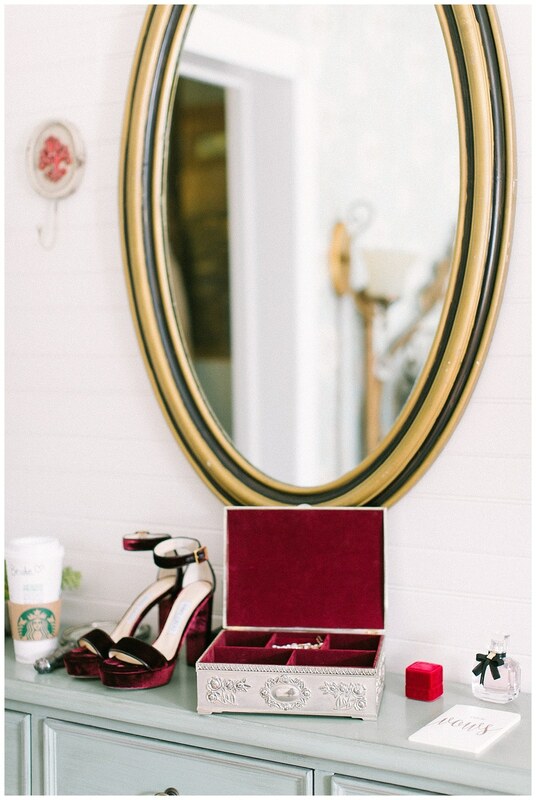 They enjoyed Starbucks while getting all dolled up. 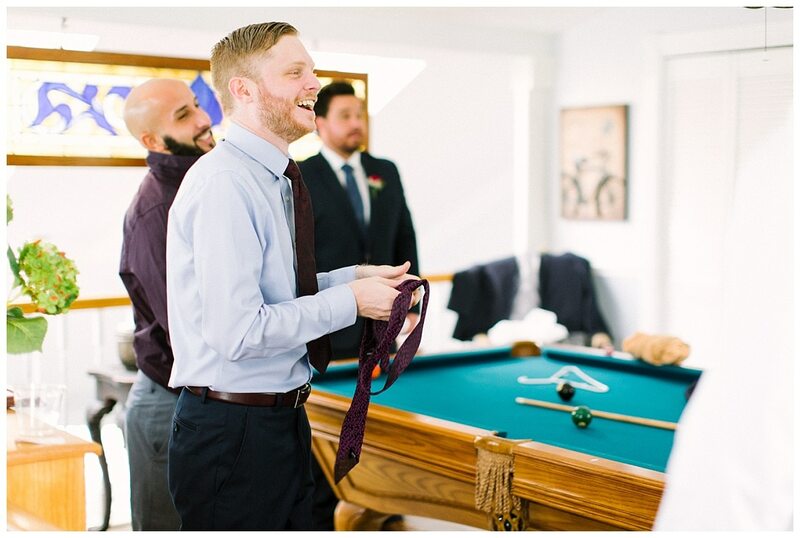 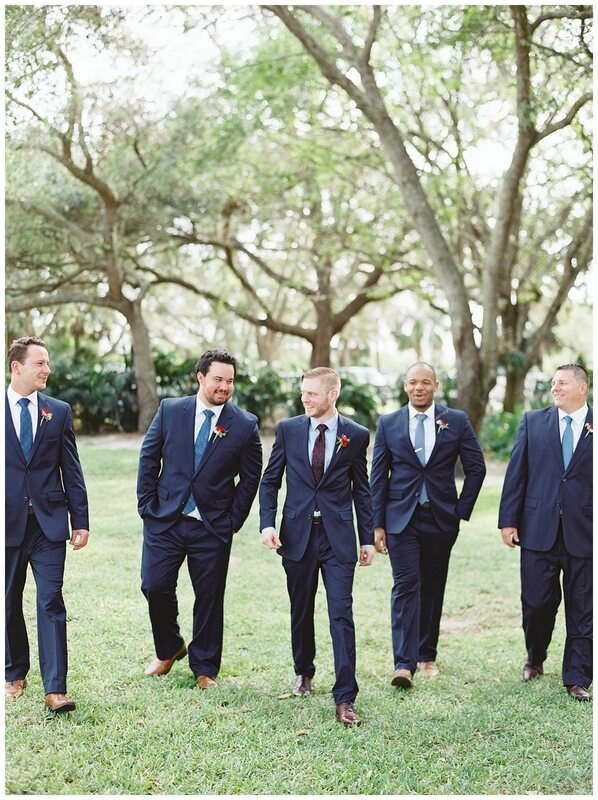 Stephen and his groomsmen got dressed in their sleek suits, after a round or two of playing pool. 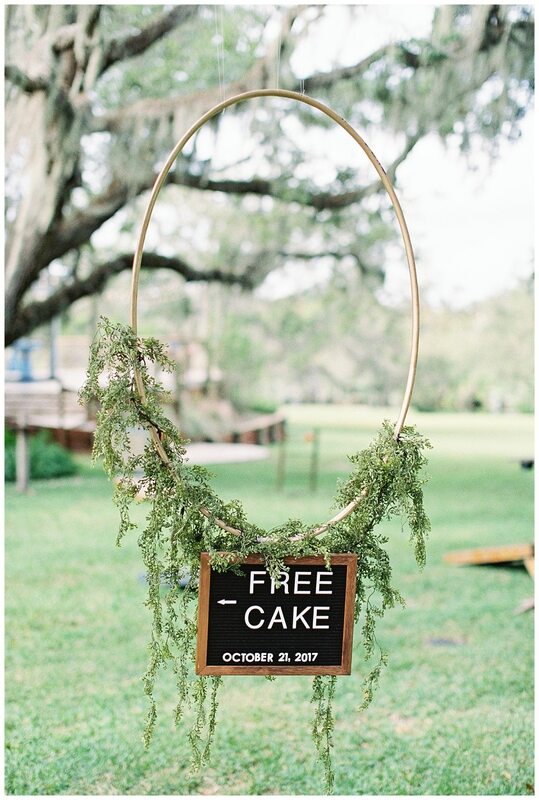 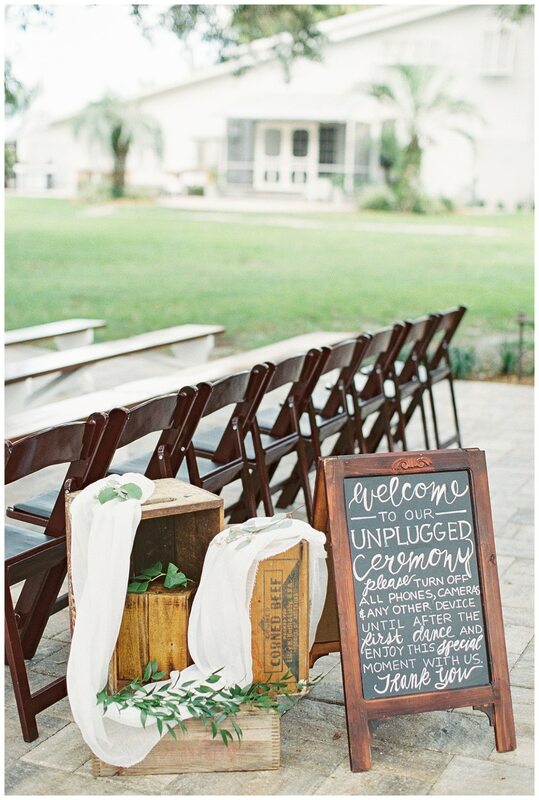 The guests arrived at the ceremony site and were greeted by a cute, felt board with a simple, but intriguing advertisement of “Free Cake!”. 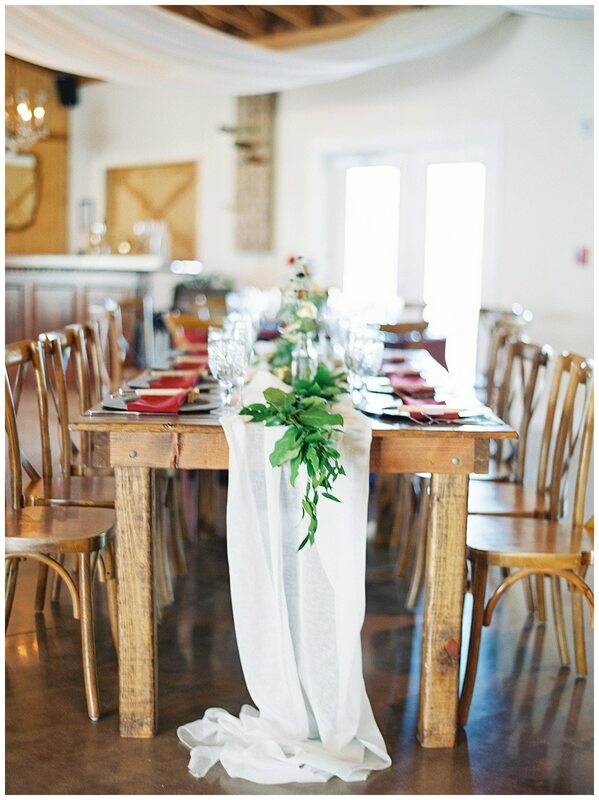 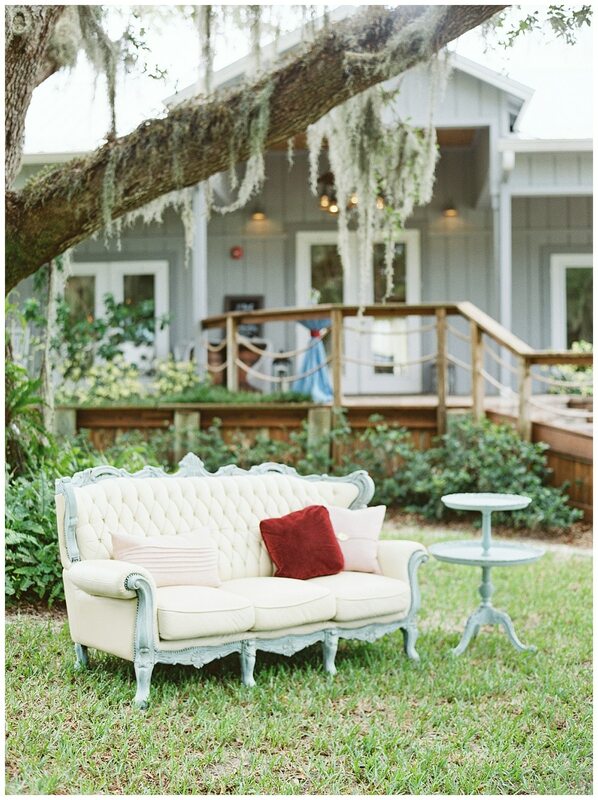 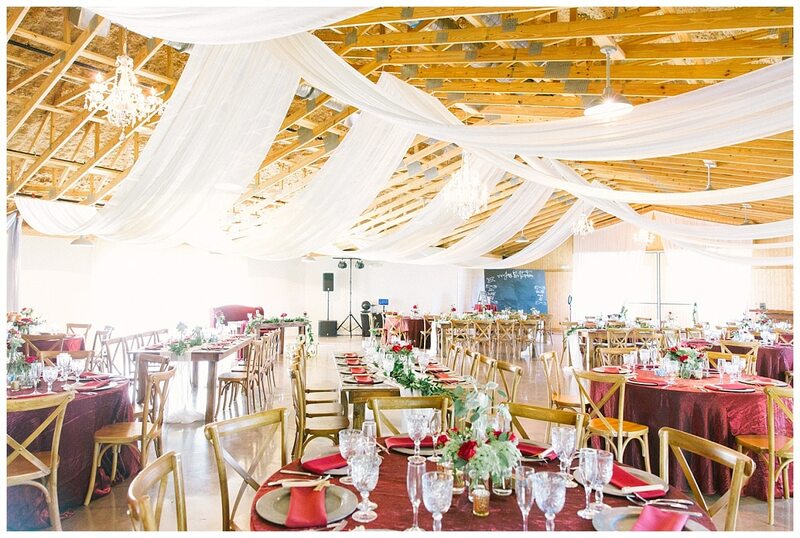 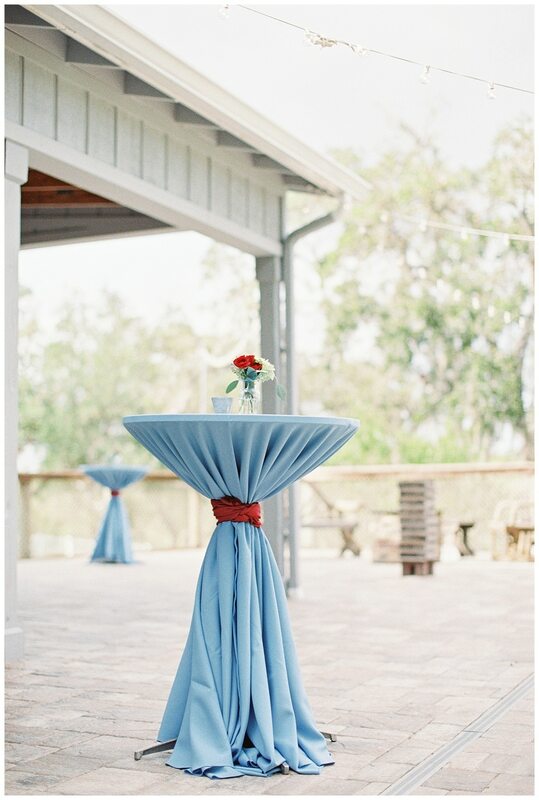 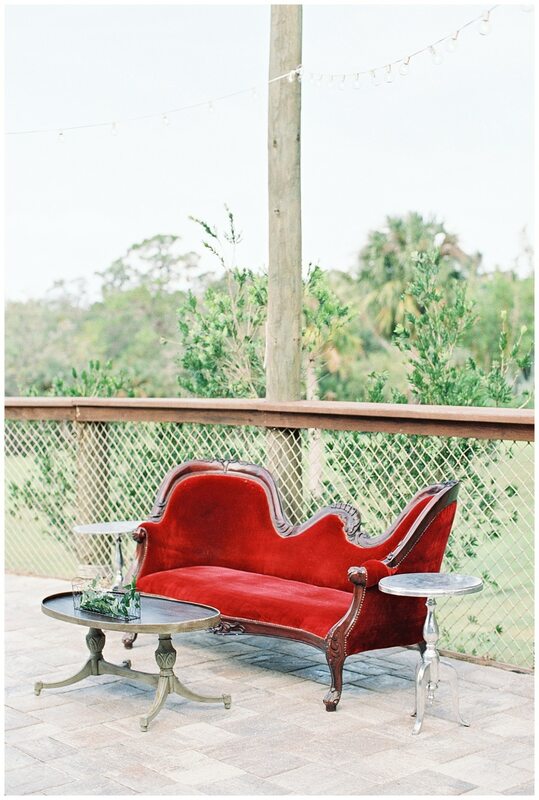 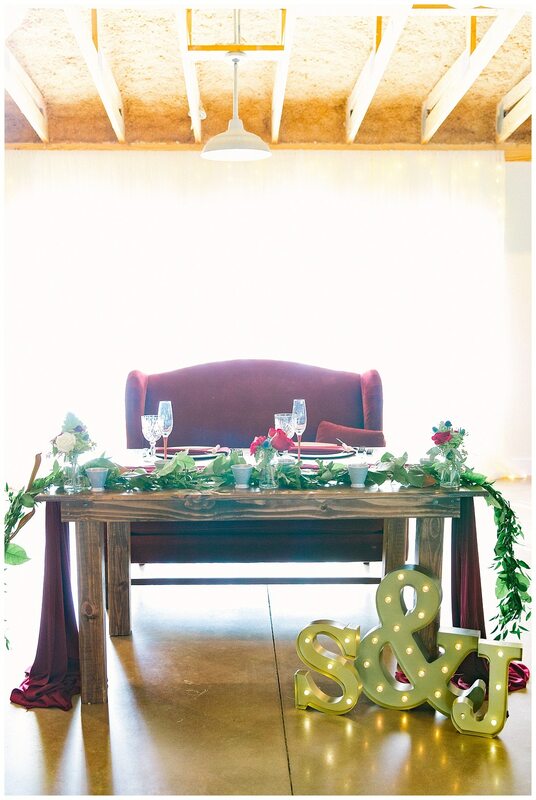 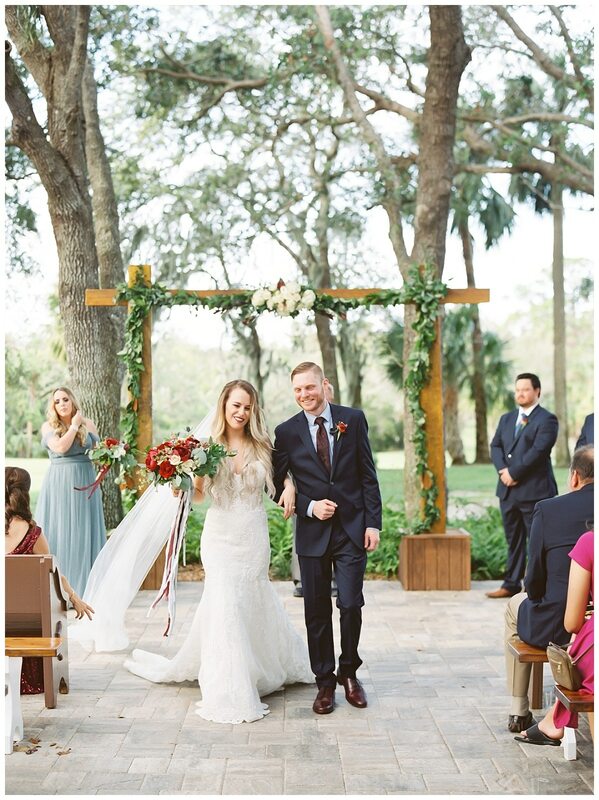 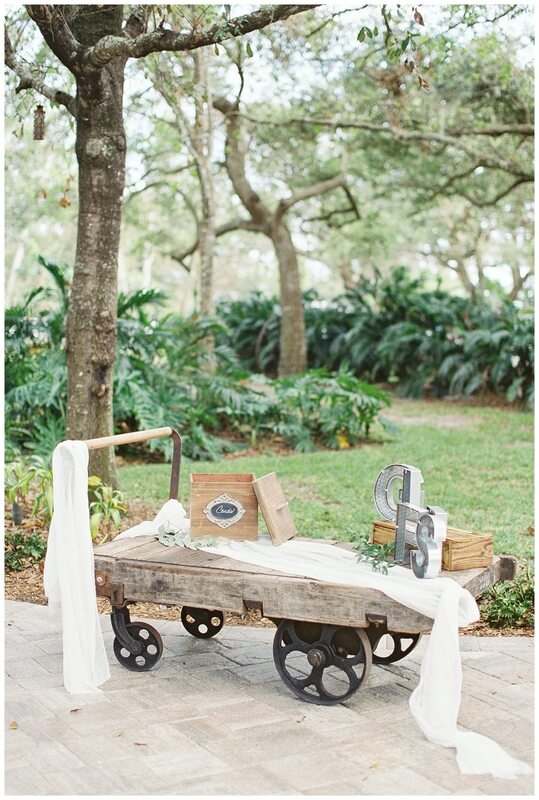 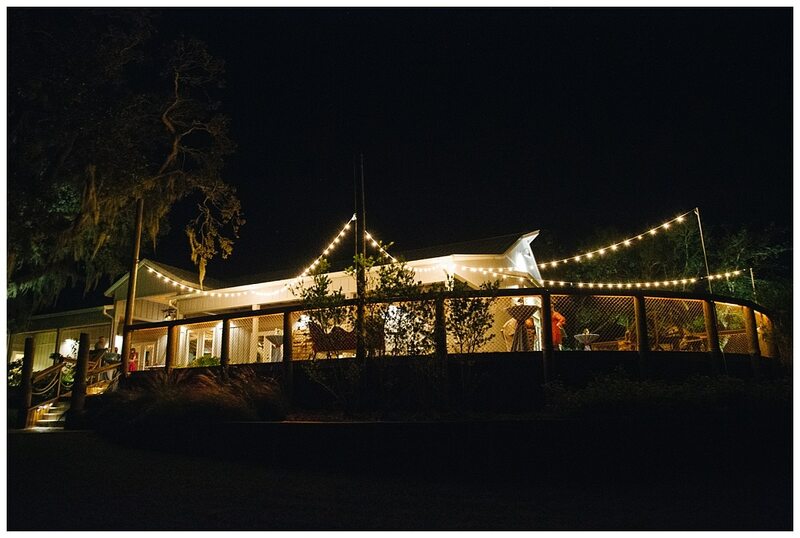 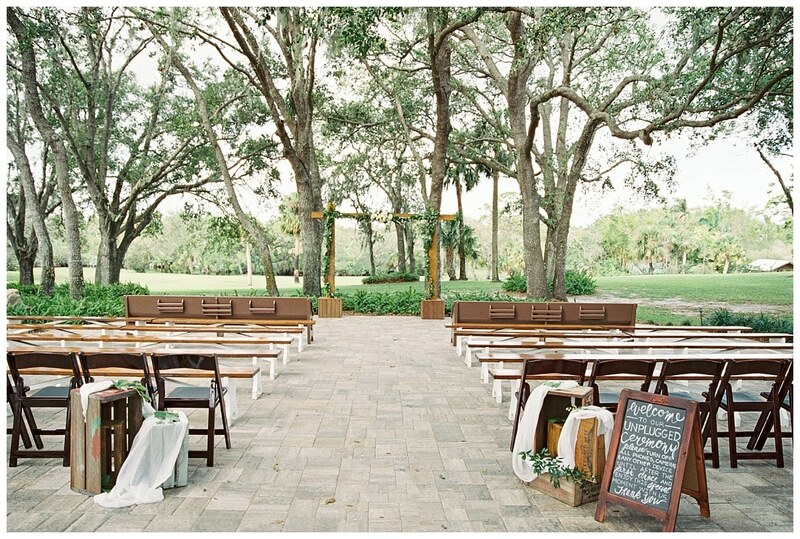 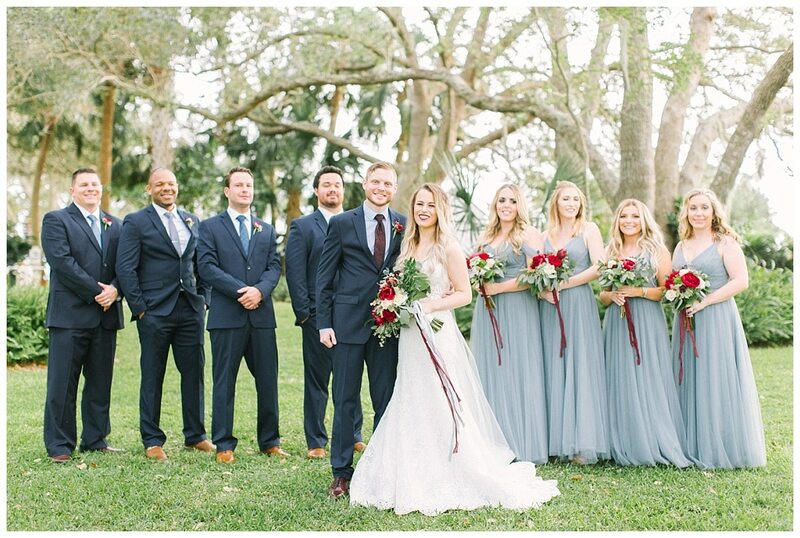 The grounds were decked out with dusty blue and burgundy decor, including a relaxing lounge under the mossy oaks. 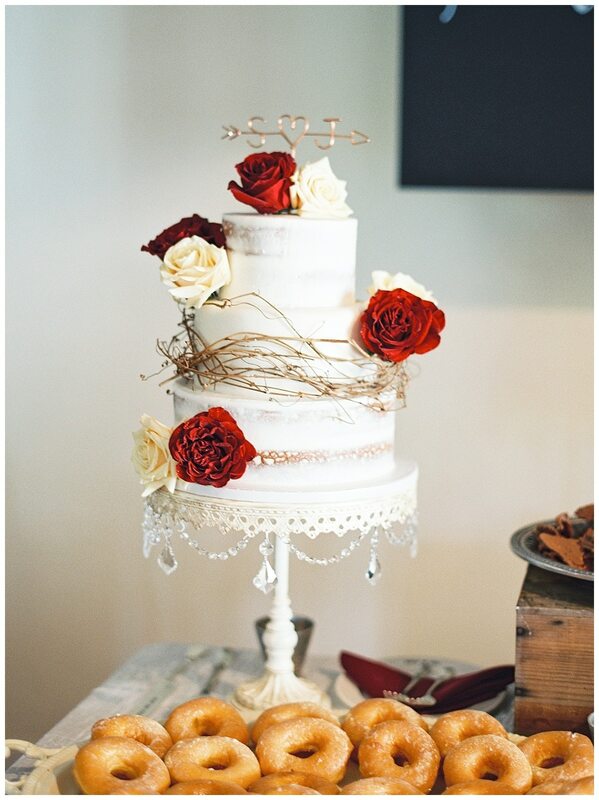 Inside was the equally-delicious-as-it-was-beautiful cake by Cakes So Simple. 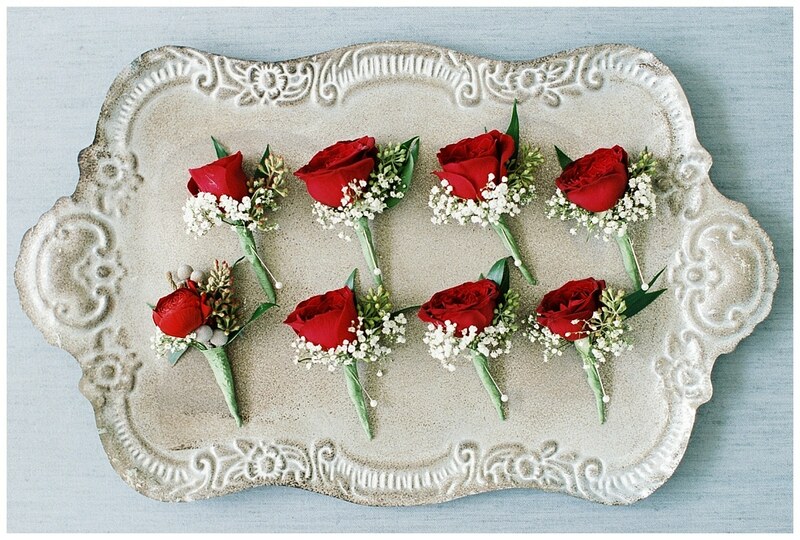 Whimsy blooms by Buds Etc. 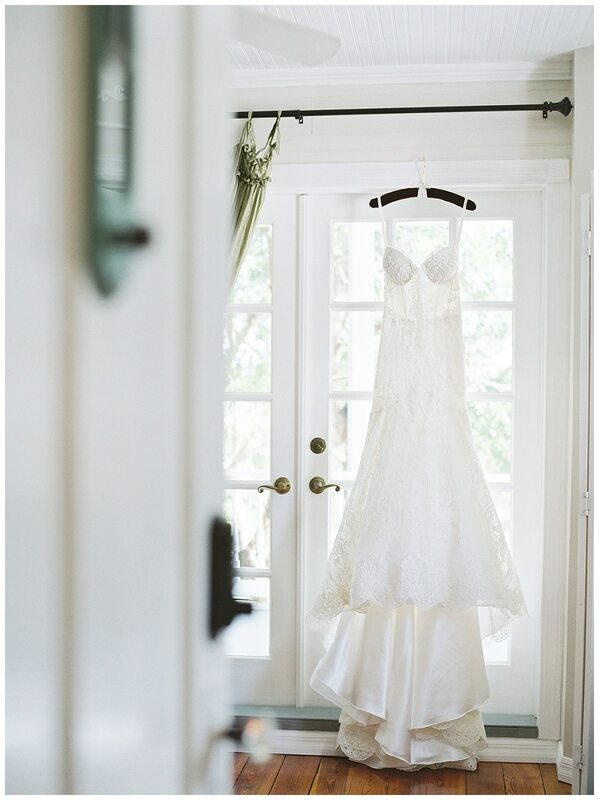 and soft, flowing fabrics accented details in the room. 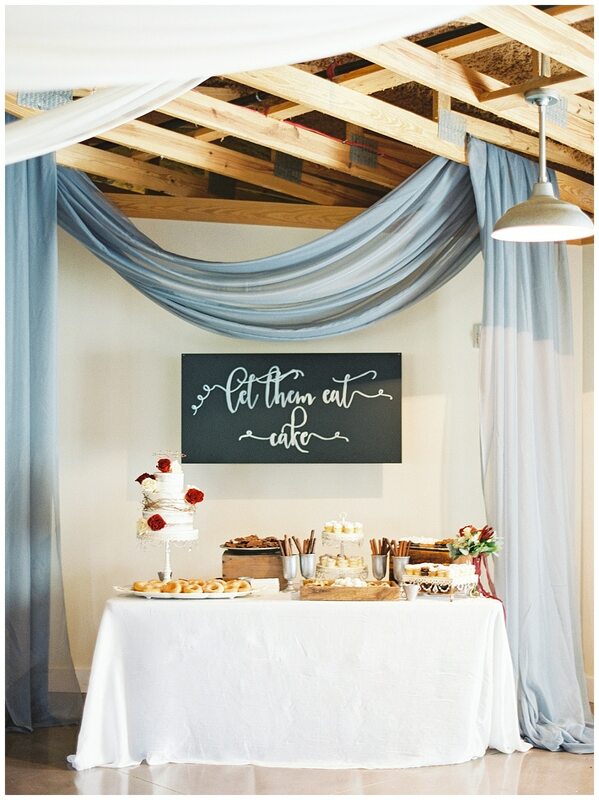 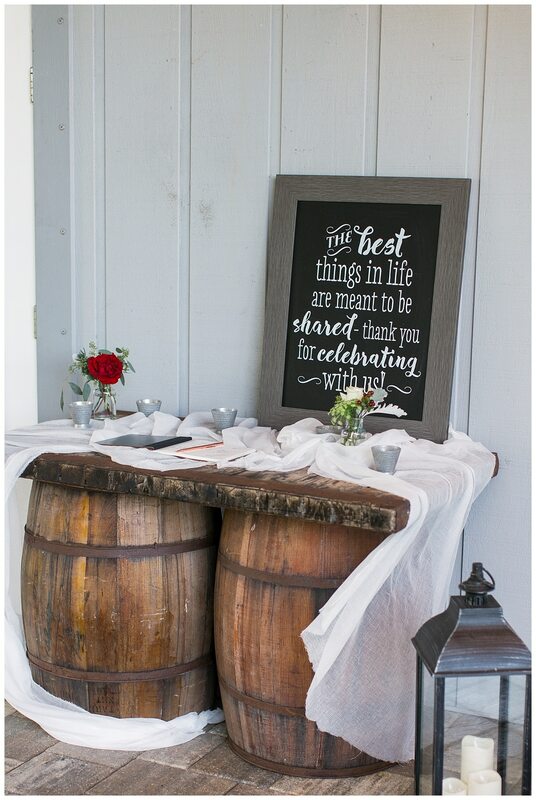 The corner of the boathouse sported a large chalk-board style photo booth backdrop, perfect for guests to snap a fun pic. 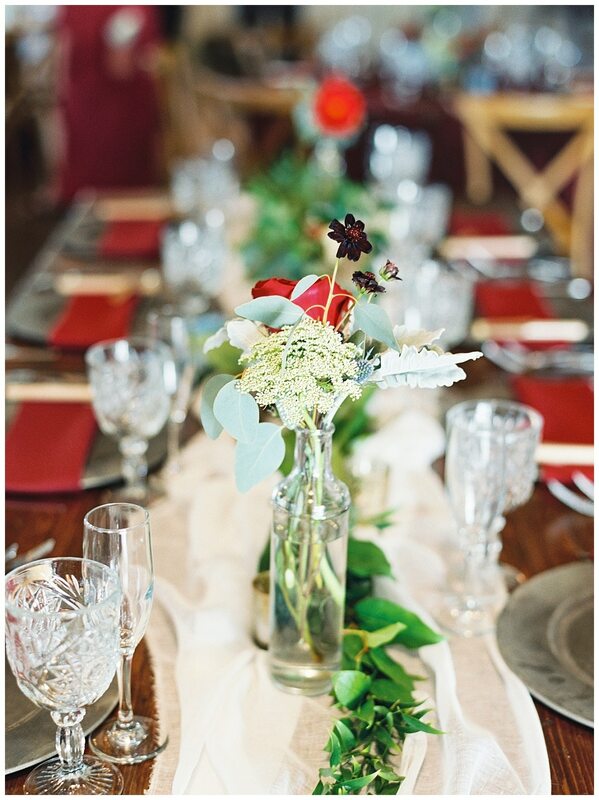 Placed at each guest’s seat were delicious spiced tea bottles, a treat to take home to extend the celebration. 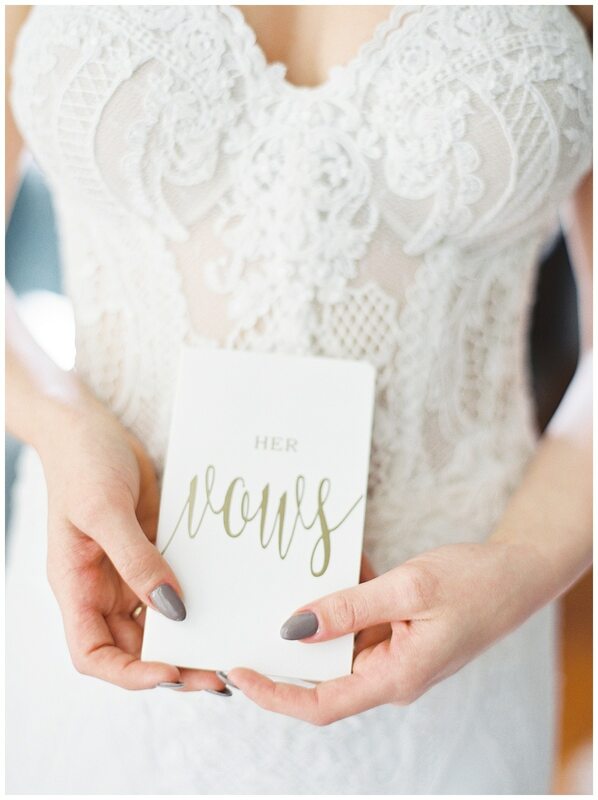 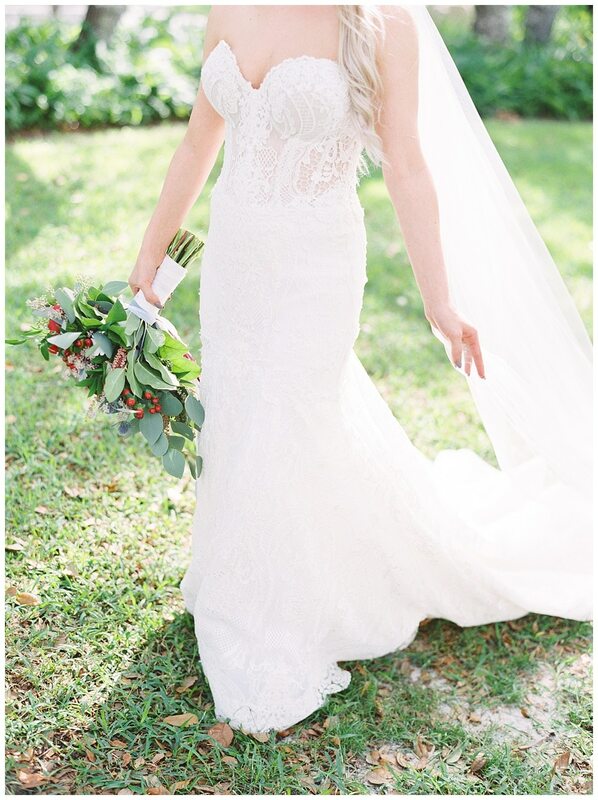 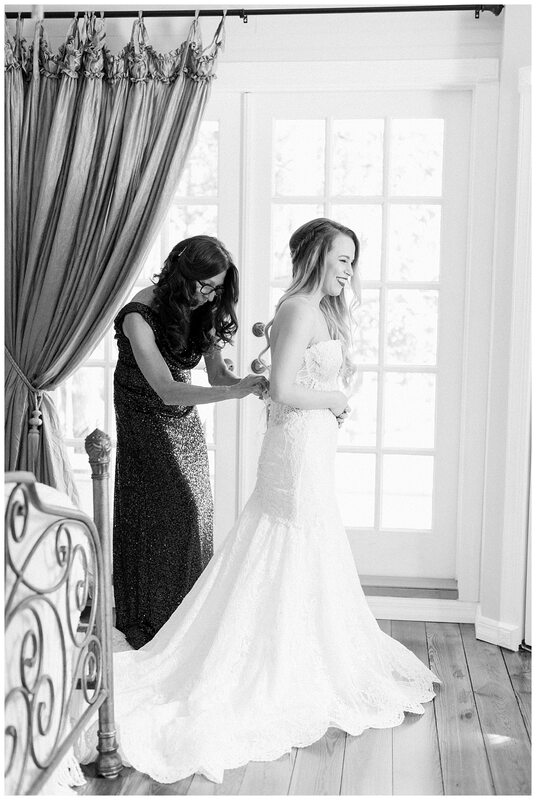 One of our favorite details of the day was Jess’ dress, including the intricate detail of the bodice… SWOON! 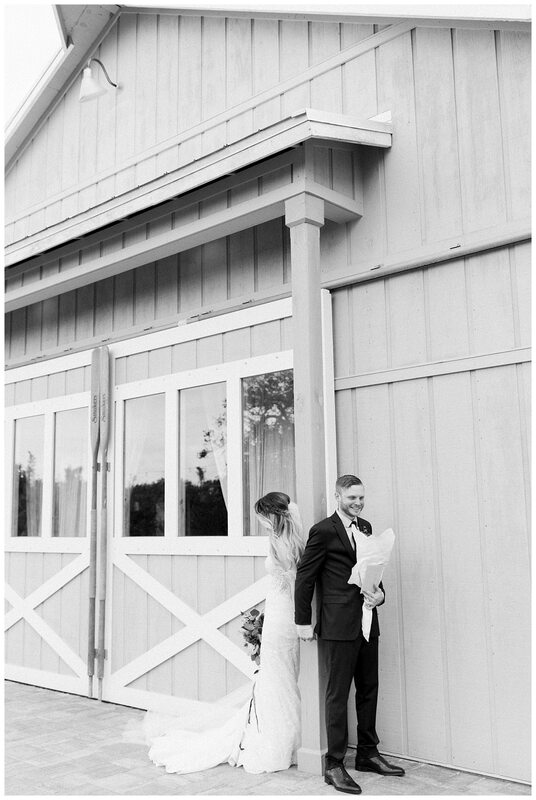 We know you will love the photos below… comment and let us know what you think! 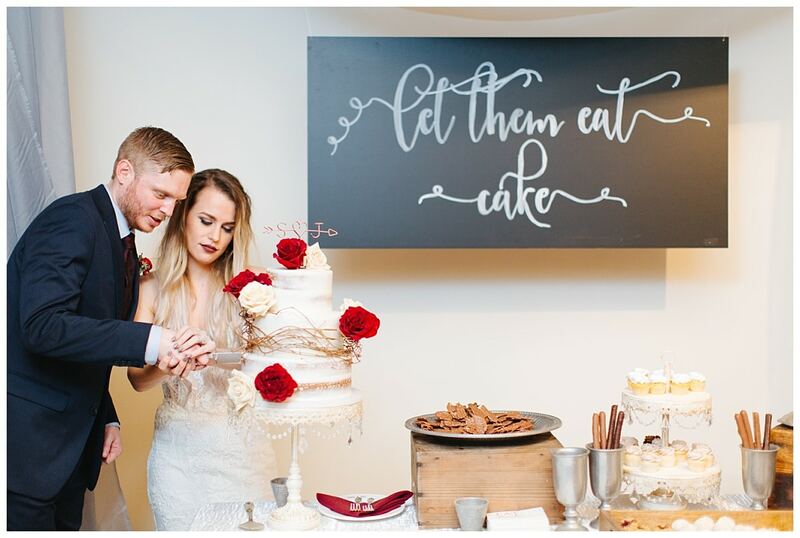 Thank you to the following vendors for making Jess and Stephen’s wedding day amazing!